The 16th Edition of seeks to represent an emerging art world inside and outside of New York City Zürcher Paris / New York has as an accessible yet impressive, small but representative art fair, this year showcasing 6 galleries including galleries from Brussels, Paris, and New York. SALON ZÜRCHER, NY. Between our two galleries, hosted 15 mini art fairs, which have been major successes and garnered very positive media attention. 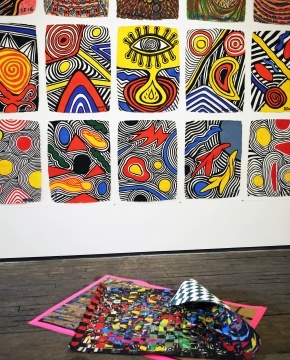 Zürcher Gallery is located in the East Village, in walking distance from the lower east side art scene and the New Museum. The salon will function Salon Zürcher, NY offers visitors an intimate alternative to the large-scale, superstore style fairs during The Armory Show in New York.